In an almost post-coital glow, the Working Interferences are back to revel in the glory that was Michael Apa. 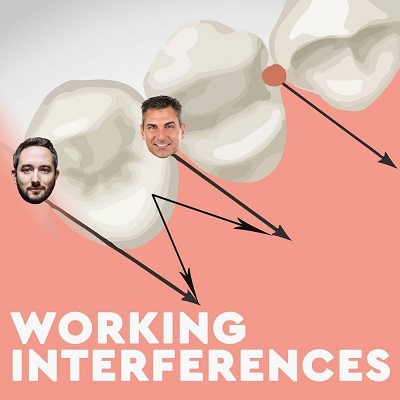 After a brief discussion of Dr. Apa’s work attire, Josh and Lance jump into advice starting with “Methed Out In Marshall.” They wanted to know about consent and when a certain shoot from the hip dentist should get it. Lance and Josh are on the same page…agreeing that maybe we should ask our patients if its okay to do stuff before we do it. Just a thought. Second question comes from listener Austin who has an assistant that shits on his treatment plans after he leaves the room. What to do about it? Reference 80’s and 90’s movies of course. Our Reddit question comes from a crazed hypochondriac who thinks literally everything is going to kill her. Don’t worry….your blood pressure will take care of that slowly over time, lady.